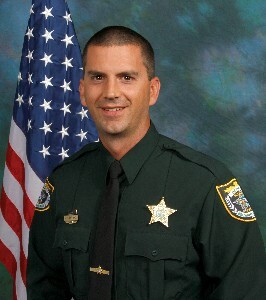 MELBOURNE, Florida -- The last thing Brevard County Sheriff Sergeant Robert Vitaliano thought he would be doing as he was getting ready to attend a friend’s wedding was assisting in the rescue of six boaters who were trapped underneath a capsized boat. As Sgt. Vitaliano was mingling out in front of the Front Street Park pavilion in Melbourne, Florida with other wedding guests last Friday afternoon, he heard a loud crash come from the dock area where a 24-foot-vessel had just collided into the dock and capsized. Apparently, the vessel lost control, crashed into the dock, and threw its passengers into the Indian River. Off-duty Sgt. Vitaliano and several other guests immediately jumped into the water and started pulling the elderly passengers ashore. It was then when Sgt. Vitaliano realized there were other passengers who were trapped underneath the hull of the capsized vessel. Sgt. Vitaliano quickly developed a plan to lift one side of the vessel in order to free the passengers who were trapped underneath the water. Through a collaborative effort, all six of the passengers were safely rescued and brought ashore. “It was an instinctive reaction to a situation that a law enforcement officer is trained to deal with, regardless when it happens,” Sgt Vitaliano said of the rescue. He also praised the other rescuers for putting their lives at risk to save others.